Richardson, John G. 2006. The Impact of Comparative Education Research on Institutional Theory. Vol. 7, Issue. , p. 27. Myers, E. D. 1998. 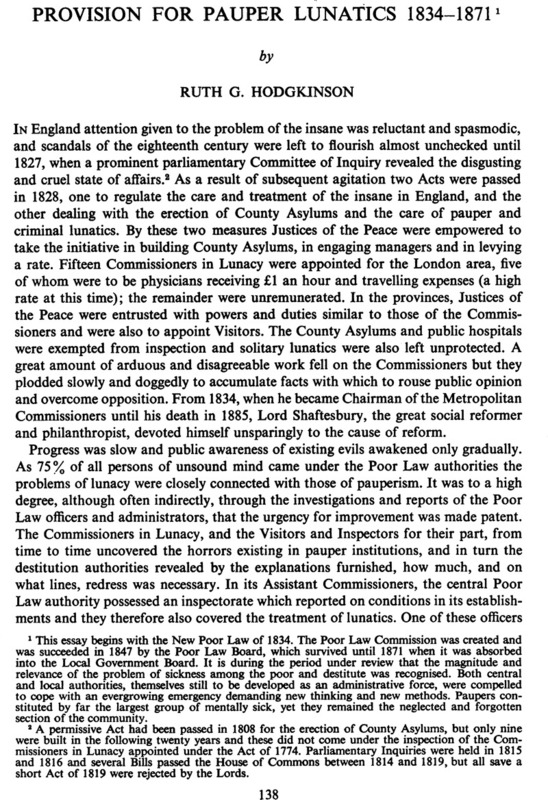 Workhouse or asylum: the nineteenth century battle for the care of the pauper insane. Psychiatric Bulletin, Vol. 22, Issue. 09, p. 575.